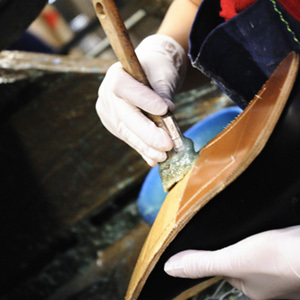 Shoe repair and restoration: Our specialty is repairing and restoring quality shoes, boots, sandals and more. We can re-sole, re-dye, re-stitch and take care of any other work that needs to be done to restore your footwear to its original splendor and keep it nice for years to come. We work with Vibram, Spenco, Taco and other fine brands. Don’t just give up in defeat and buy a new pair when your designer shoes break—bring them to us for the fine care they deserve. Shoe products: We also sell a fine selection of shoe accessories and products, including arch inserts, shoelaces, cleaning products and shoe polish in our Redondo Beach, CA store. 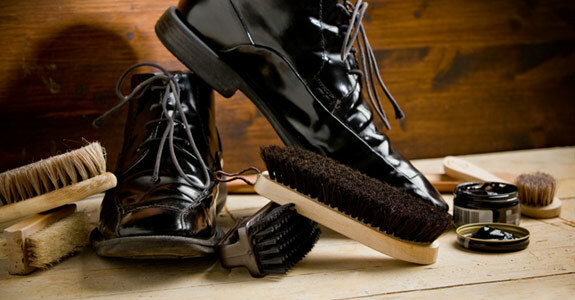 If you keep your luxury shoes well cared for, they’ll last even longer! Boots, belts and bags: If it’s considered an accessory, we can probably help repair it. We work with boots, belts, designer handbags and luggage, and can repair leather as well as zippers. Bring your damaged or worn luxury product by today for an assessment. If you’d rather keep one designer product for decades than indulge in cheap thrills every few months, trust your shoe repair and more to William Windham Shoe Repair, a 60-year-old institution in Riviera Village. Come by our shop or give us a call today at 310-375-1981. Destroys germs in your shoes that can infect your feet—Without toxic chemicals to provide a safe footwear environment. *Unlike Shoe sprays, ShoeZap leaves no chemical residue that might be harmful to your feet. UVC wavelength that has been used for decades to sanitize air in hospitals and kill bacteria in water supplies. ShoeZap uses this same technology to kill micro-organisms that live and thrive in your shoes. See references to studies and clinical trials, expert opinions, doctor recommendations and user testimonials on our website.